Hi friends! One question I get quite often is how do you balance blogging and outside life. I know for me personally this is something i’m always looking to improve regardless if i’ve got my ducks in a row. Today i’ll be sharing how to be a blogger and still have time to be in the moment. Unplug – Designate times to unplug from technology and work. After 6pm Chris and catch up on the day, make dinner and go outside for a walk. Lately i’ve bee all about cozying up on the sofa with the family, watching a scary movie or listening to music with a fall candle burning. Even if it’s just for an hour make that hour yours and be in the MOMENT! Assess Value – Make sure that you are doing what’s most important first. If you don’t know this i’m a BIG fan of list making. I make a list of everything that I NEED to do making sure to tackle those first before anything. The same thing goes for partnerships I only take on projects that I know fit my brand, that I connect with and fit with my schedule. There is nothing worse then feeling overwhelmed because you took on too much. A few changes can make being in the moment easier! 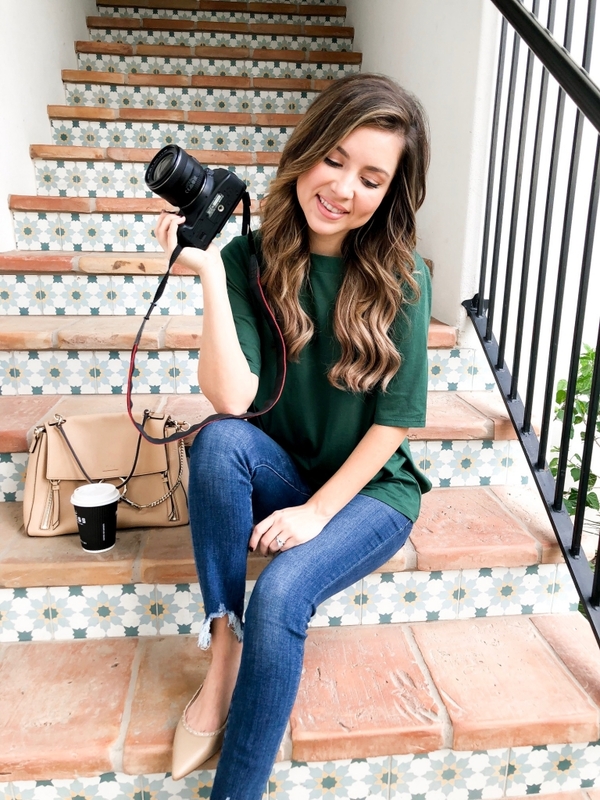 Be Vocal – I always like to say to my friends and family ahead of time that I i’d like to take an outfit picture or story. I find that sharing this makes it easier for me to not feel like i’m taking time away from them. Stop Over thinking – This one can be a struggle I hear ya! Do you spend too long thinking of a caption or how to word things? Me too but sometimes it’s best to just write what you feel because that truly you and thats the most important thing. Being You! The Fun To Do List – I call this one the fun to do list because it’s all about creating a list of all the things you want to do. You know when you see a fall or winter to do list and it say’s visit a pumpkin patch and drink cider. It’s that but you are doing this for everyday. An example would be today I want to drink hot chocolate or read my new book for an 30 minutes. I love being a blogger but that doesn’t mean I can’t enjoy other things as well! I know sometimes it can all seem like a bit much but when you love something you make it work! Now that i’m hitting post on this i’m going outside with the pups to water the plants. I need to remember to get some mums! Have a great weekend everyone! This week is my brothers 24th birthday so we are going out to celebrate!